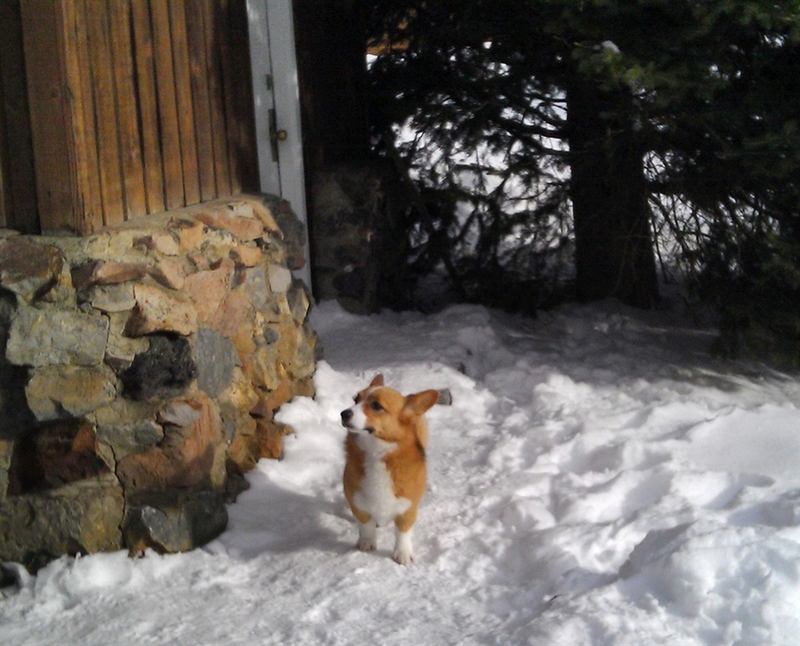 This plucky little guy is Ole, a Welsh Corgi who somehow managed to survive a horrific avalanche that killed one of his owners near Cooke City, Montana. After presumably tunneling out from under snow many times deeper than the small dog’s stature, Ole walked for four days before finally coming to rest at a local motel. This is one incredible little dog. Ole’s owner Dave Gaillard was out skiing with his wife Kerry along Hayden Creek with their diminutive dog this past Saturday. Dave happened to spot the avalanche which broke in the mountains above, and shouted to Kerry that she should “Retreat to the trees.” These would be his last words. Dave was buried under some 14 feet of snow. Kerry, heading his warning, survived by clinging to a tree. Ole was nowhere in sight. Safely returned to the bosom of his family, Ole is a little piece of good news in this tragic story. In addition to Dave Gaillard, Jody Ray Verhasselt also died in the avalanche. Don’t ever go too far from home, Ole.